Our world is constantly coming up with new ways of advancing technology and bringing it into our homes. Children have robots that can talk and play with them. Teens have smartphones constantly glued to their hands. The majority of the working population is online 8-10 hours a day. In my home, we have to make a conscious effort to not be on a screen when we are spending time together. I know we are not alone in the struggle to disconnect from our screens and connect with each other. Create boundaries: know what is and is not okay to share online. We need to teach teens that their address, where they go to school, and even where they work is information that can make it easier to be found by people who may be dangerous. It is much better when they have their accounts set to private. Talk about what types of pictures can be shared on media, even SnapChat. Images last longer than most of us wish online; show them the consequences of having inappropriate pictures shared. Understanding why safety is necessary online is an essential step in helping teens feel responsible for what they say and do online. Have tech free time: the whole family should disconnect at least weekly to create real life connections. Take a walk, play a board game, make a meal, eat at a table screen-free, do anything to show that you are interested in what teens have to say. Teens are observant and will react to adults putting their screens away. It may be difficult to give up our screens, but it can lead to deeper relationships and more conversation, especially when everyone participates. Don’t believe me? Watch this video from Today to see for yourself how teens felt after giving their phones up for a week. Model how to act online: talk about what is helpful versus harmful to share online. We have all seen comments of harassment, cyberbullying, and people committing crimes on live stream. Teens react to these situations all the time. The pressure to bully or harass others online can be overwhelming and many teens do not know how to report the behavior or get scared they will get in trouble. We all need to be vigilant in sharing what is appropriate and how to report harmful behaviors online. What we tend to forget is that there are real people on the other side of comments with feelings that are stomped on when we post negative, harassing comments. Teen Life works at helping teens recognize and use empathy in situations, but we should all be aware that we say online can have a lasting impact on a life. Google has Family Link which creates an account for your children but is fully linked to your account & lets you manage settings. Google also has a Safety Center that has great resources that can be utilized. ReThink is an app that has the potential to help ourselves from making a potentially life-changing mistake by detecting cyberbullying. 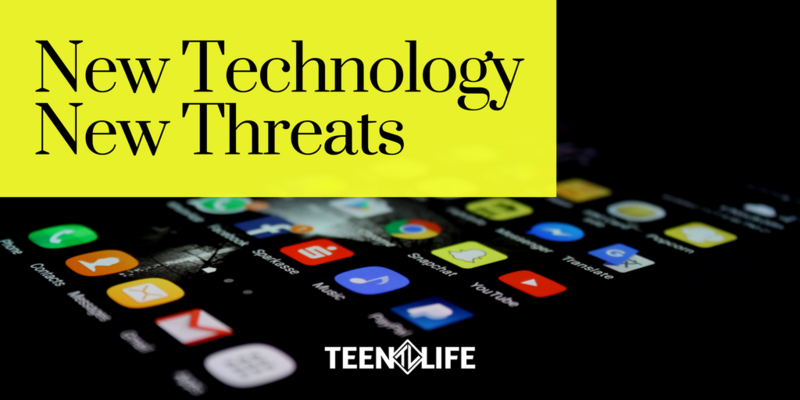 What apps and resources have you used to help yourself and your teen be responsible with technology? Try some of the resources we’ve listed above, and let us know how it goes! Shelbie Fowler is currently an intern for Teen Life while completing her Master’s in Family Studies. She is passionate about being an advocate for family life education in order to grow families stronger.